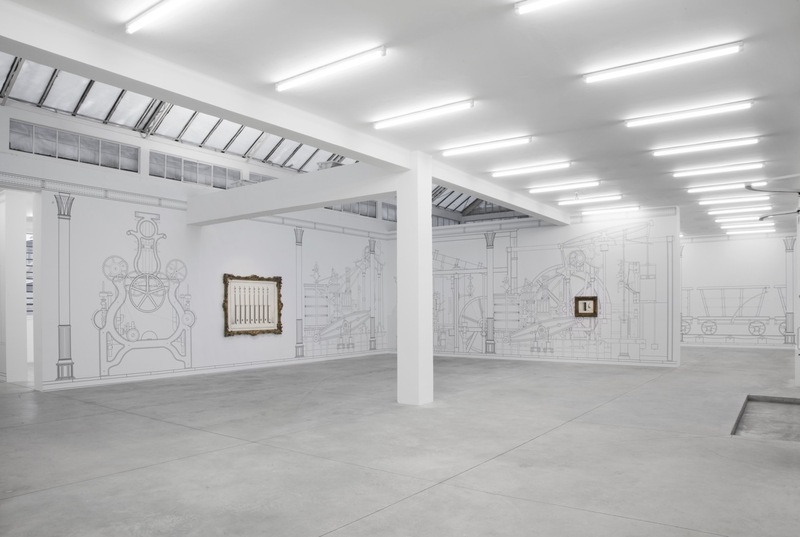 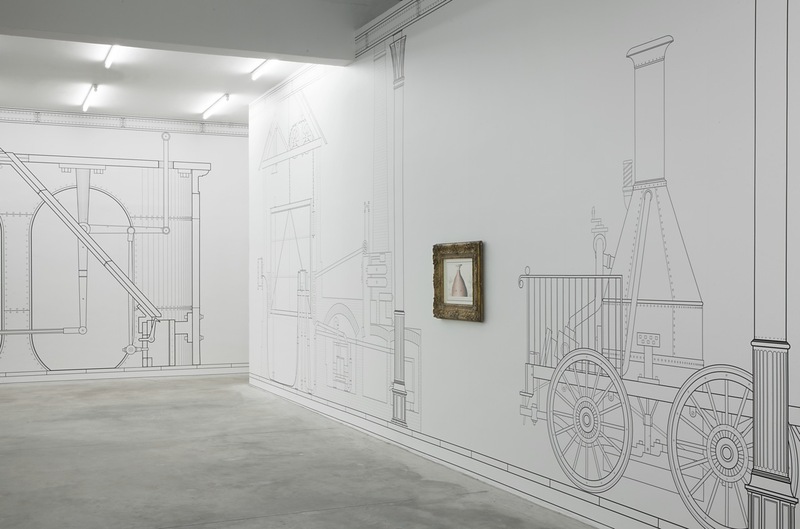 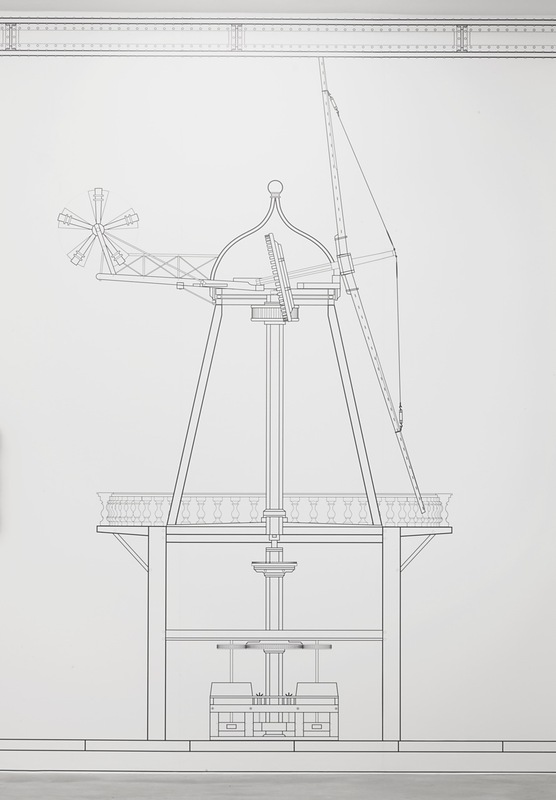 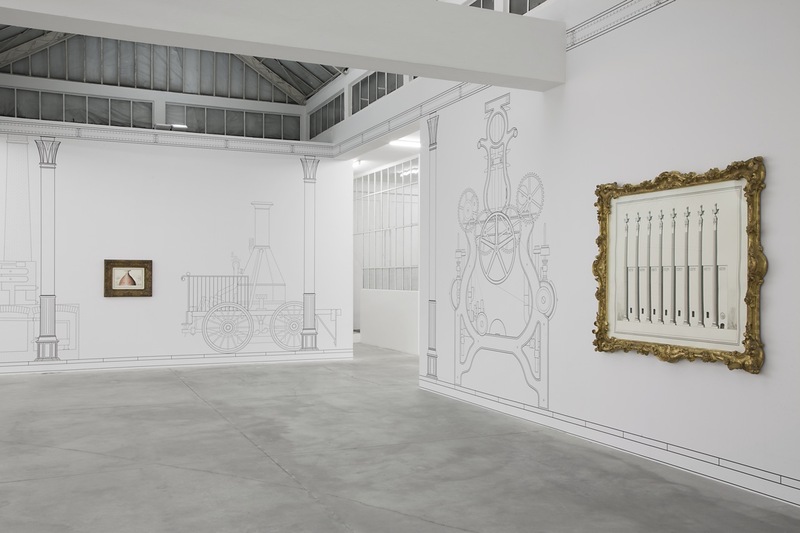 Galleria Franco Noero is pleased to present We Live in Mannerist Times, the fourth solo exhibition of works by Pablo Bronstein with the gallery, and his first in the Via Mottalciata space. 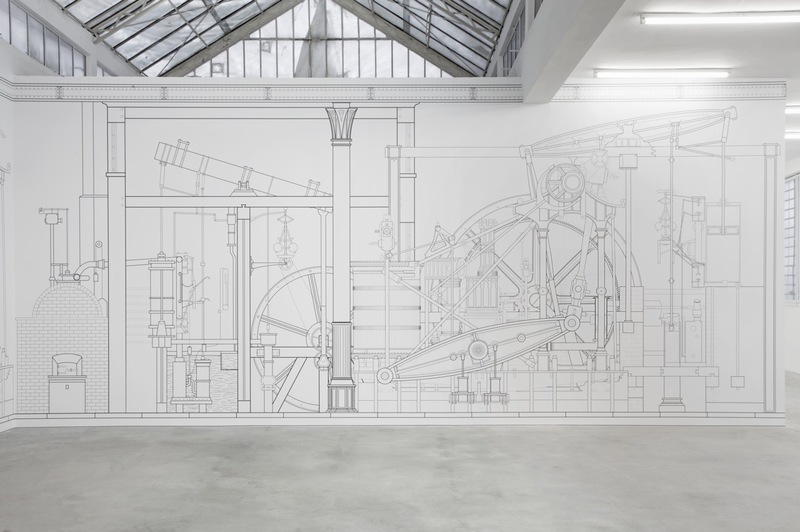 Taking up his interest in architectural theory and design, this time the artist draws inspiration from production machines used since the Industrial Revolution. 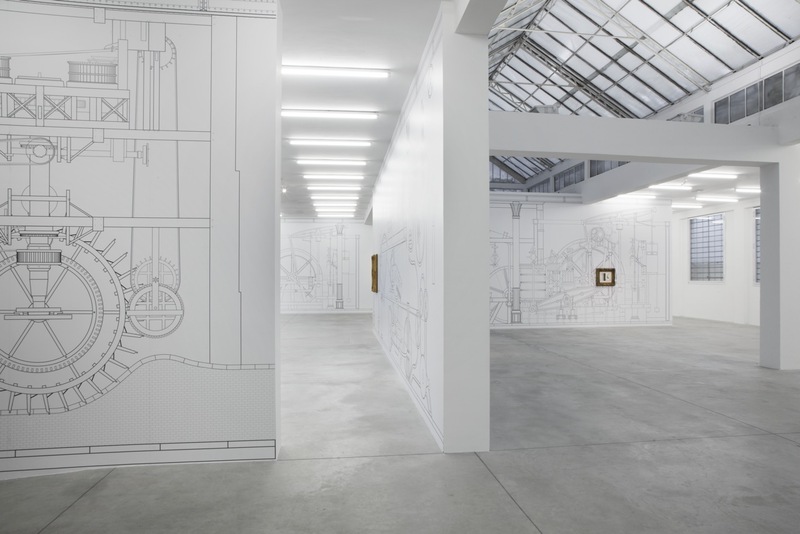 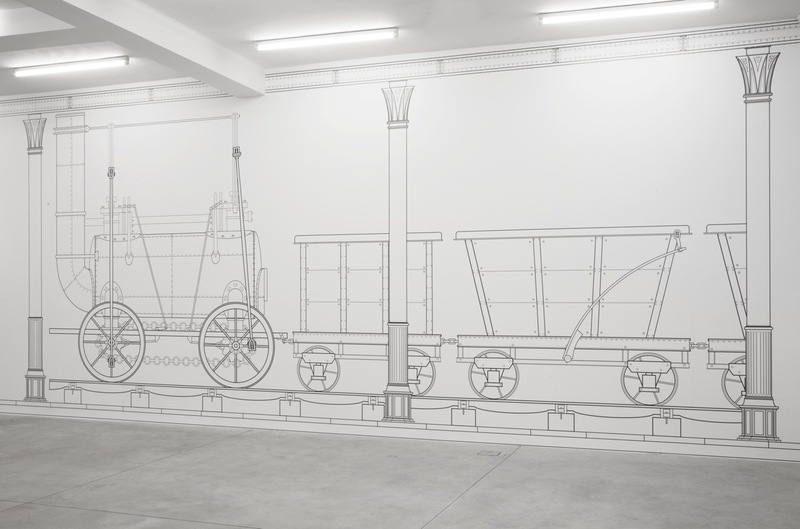 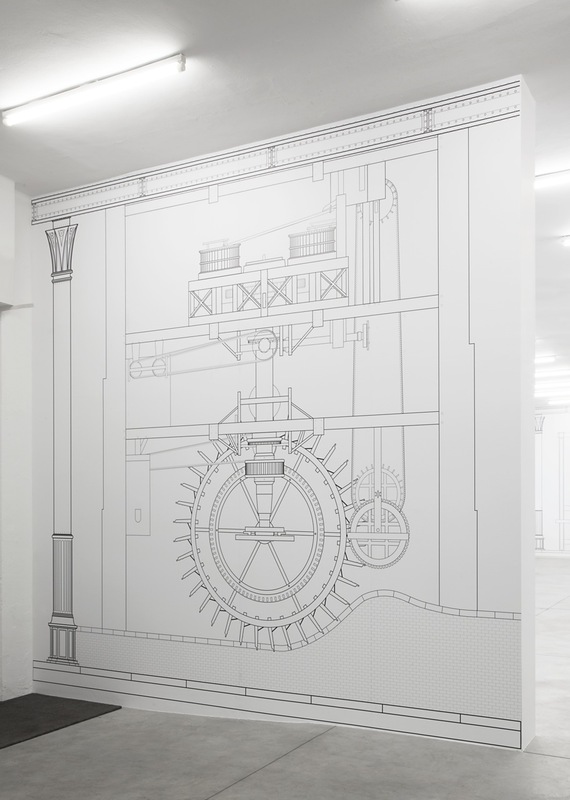 The walls of the gallery are almost entirely covered by a series of monumental drawings made on a computer – the instrument and symbol of modernity and of technological progress – forming an analogy with the machines that came before it. 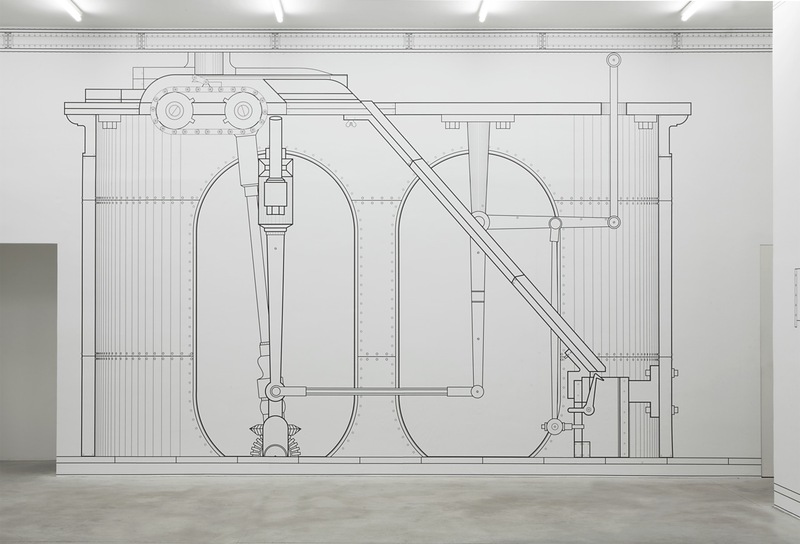 The Age of Steel is the title of the works which appear one after another on the walls, forming a sort of two-dimensional architecture, like an atlas or imaginary museum devoted to machines. 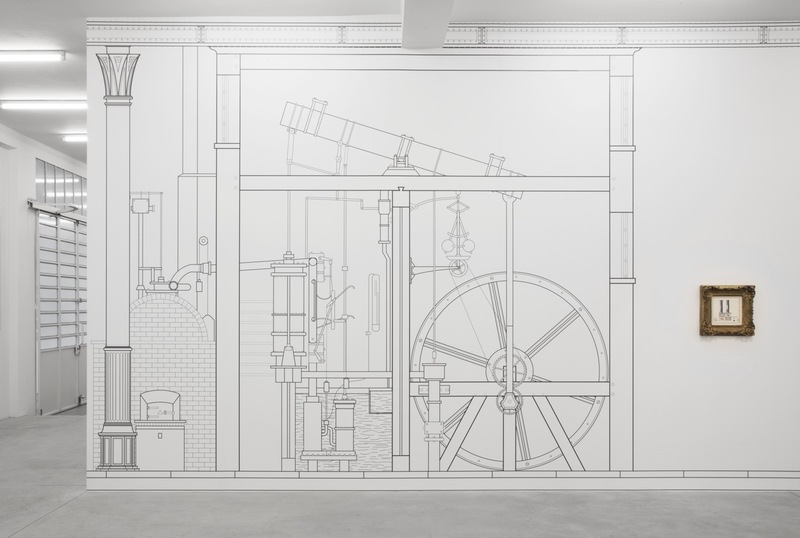 They are inspired by late-eighteenth- and early-nineteenth-century drawings, which the artist adapts to the conceptual and aesthetic qualities he wishes to convey. 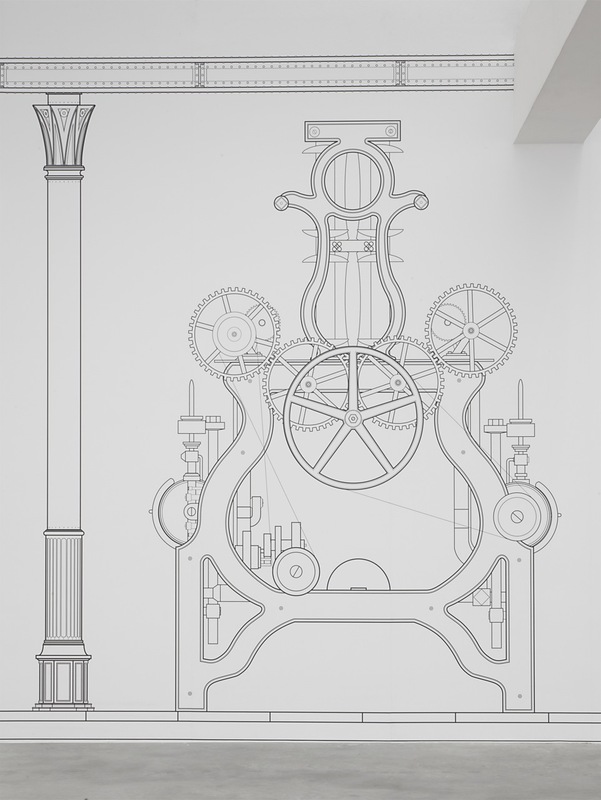 The clean, simple lines are black on a white background, taking from the style of neoclassical architecture and, among others, from masters such as Soane, Schinkel and Percier. 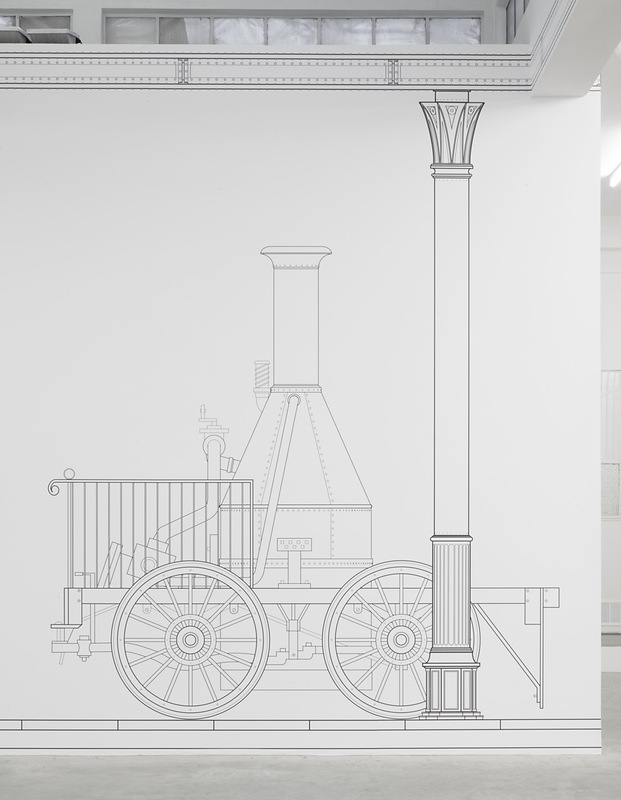 An architectural frame consisting of cast-iron columns and beams recalls those of Liverpool Street Station in London, bringing together a sequence of images of machines and details, and often taking from steam engines, the most advanced technology at the time. 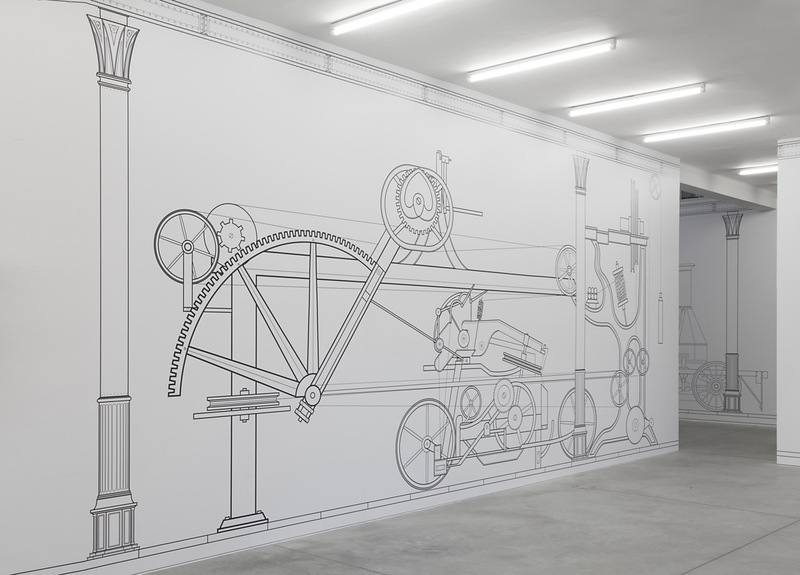 In some particular places in the Gallery, the serial, hypothetically interchangeable drawings of gears and cross-sections of machines is interrupted, and against the white background of the walls we see a new series of drawings. 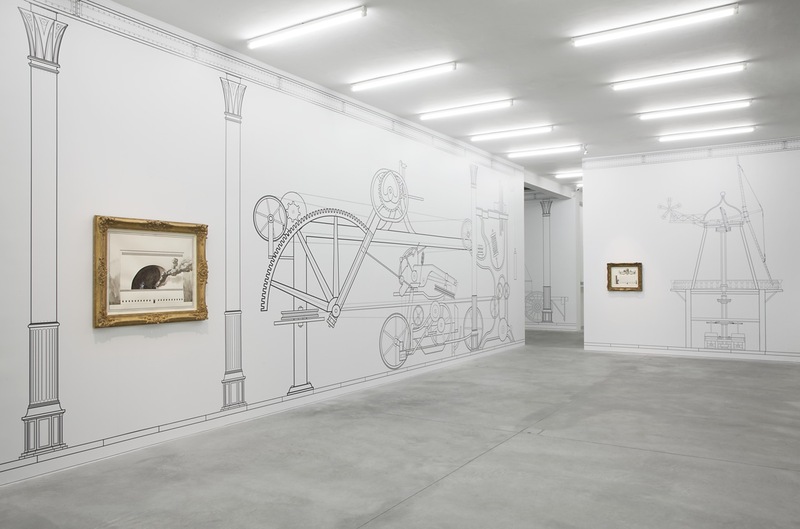 These are made by hand by the artist in ink on watercolour paper and closed in gilded frames that, as is so often the case in Bronstein's work, allude to an architectural extension of the drawing, and to a third dimension. 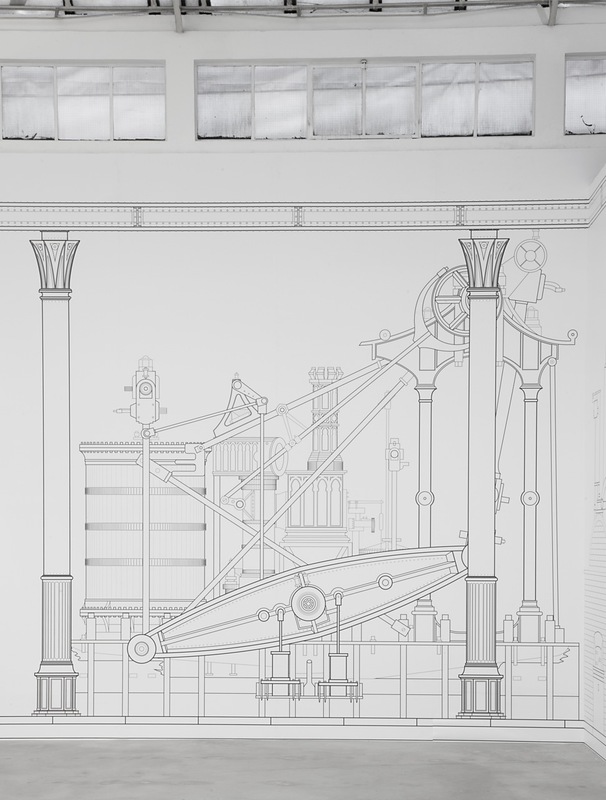 These are conjectural architectural renderings, inspired by the English potteries of the late-eighteenth- and early-nineteenth-century (Wedgwood, Minton, Derby, Coalport, Worcester, Chelsea and Bow). 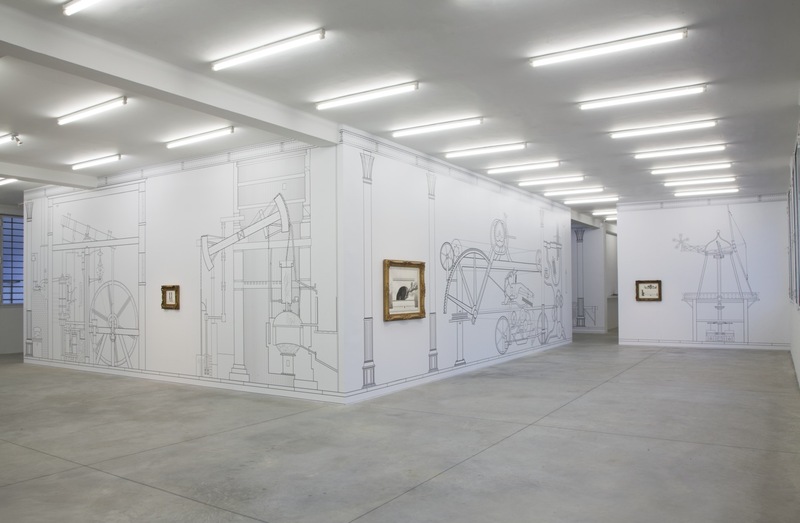 Through his new works, Bronstein reinterprets and gives new meaning to some of the innovations brought about by the Industrial Revolution. 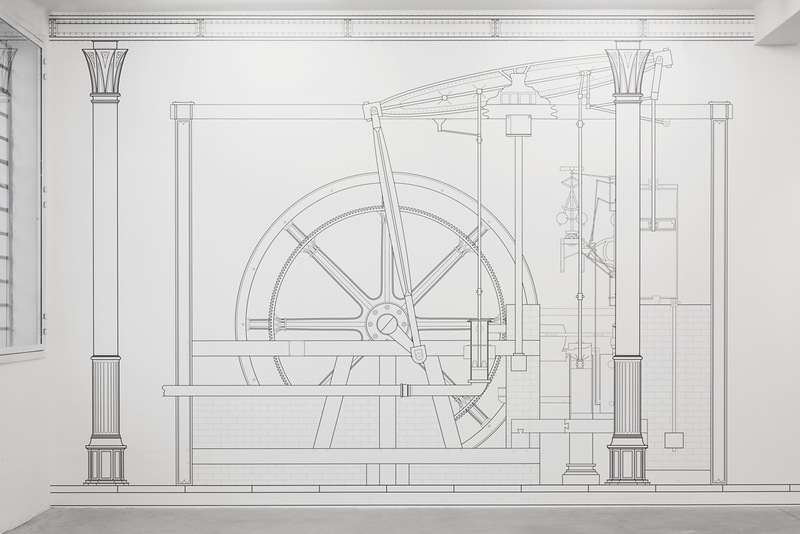 On the one hand there is the great change in size of the architecture and of the machines in the factories, which acquired almost monumental proportions, symbolising optimism and confidence in the future. 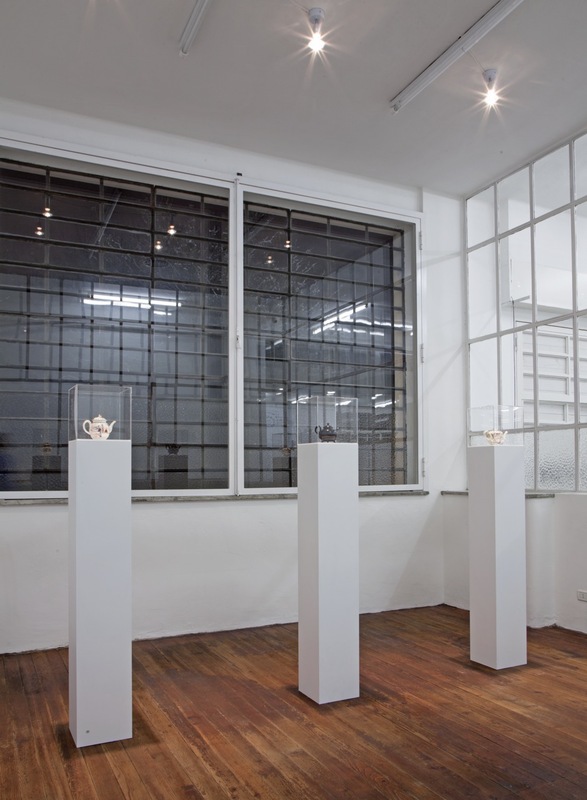 On the other hand, it emphasises how they were used to satisfy a demand for particular luxury items, which began to be mass produced rather than handmade, as in the case of the ceramics, which imitated the style of vases imported from China. 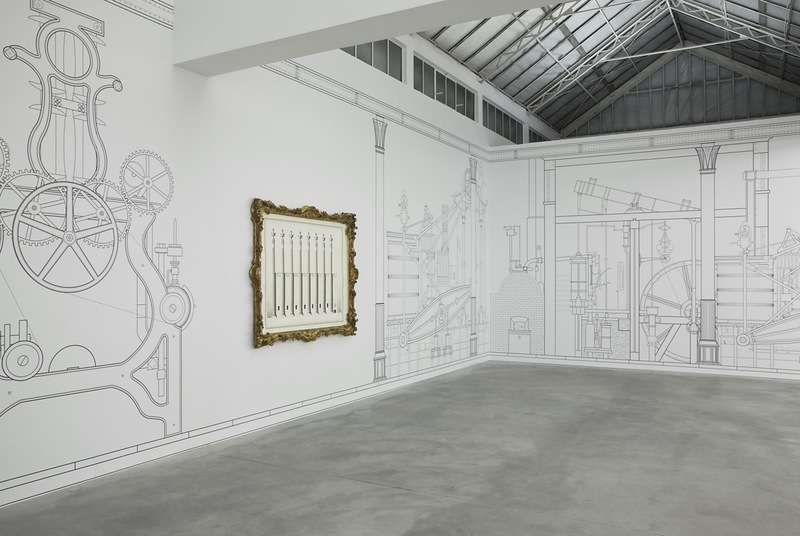 The artist reflects on the decorative potential of technology and on how scientific progress is not uncommonly in the service of beauty. 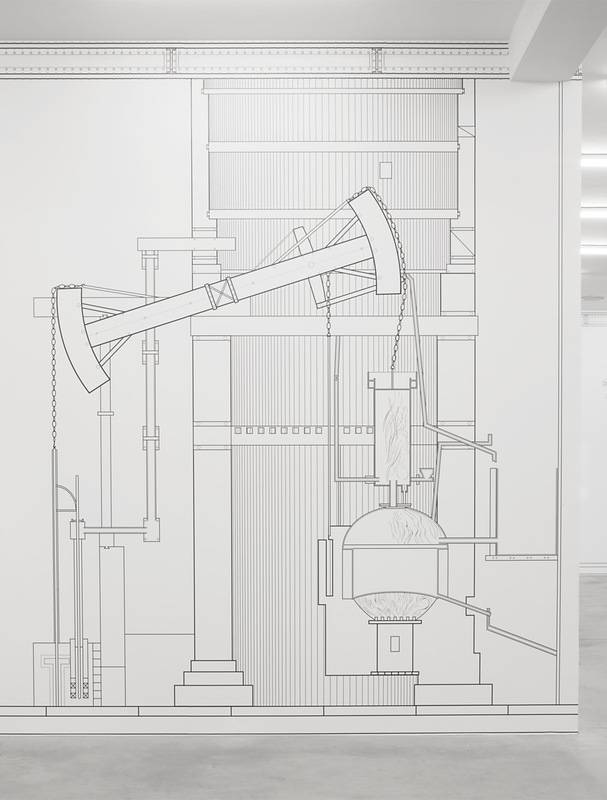 As he did with the series of drawings made on a computer for the Metropolitan Museum and for the Deutsche Bank, Bronstein again turns to history – in this case, the industrial past of the building now occupied by the Gallery. 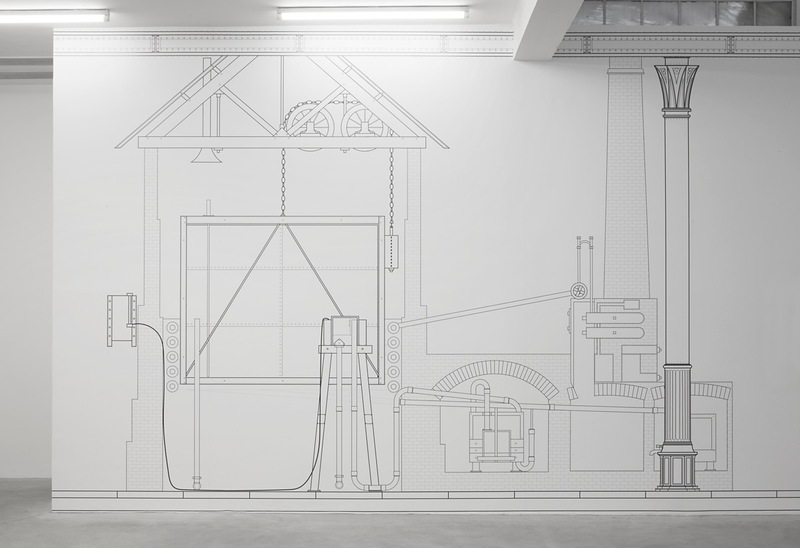 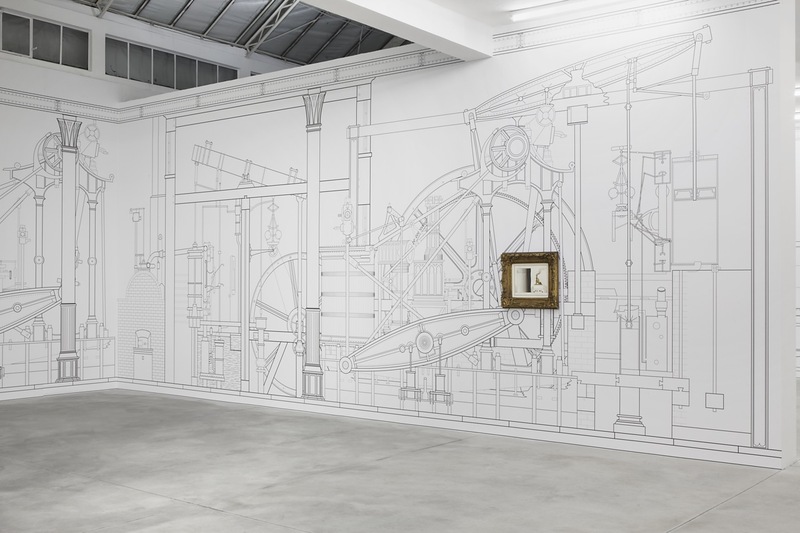 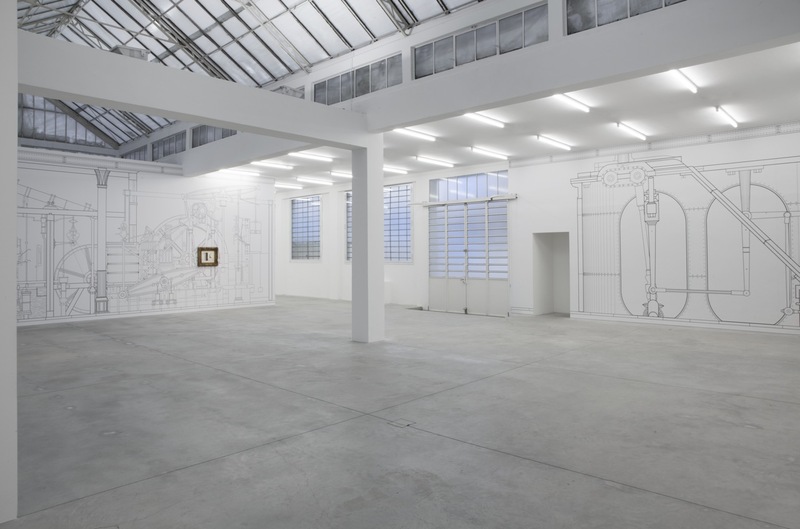 The reference to Mannerism in the title of the exhibition, and the depiction of industrial machines used as "wall decoration", alludes to the present-day use of buildings and, in more general terms, to their architectural and functional redevelopment by the creative "industries" in this post-industrial age.